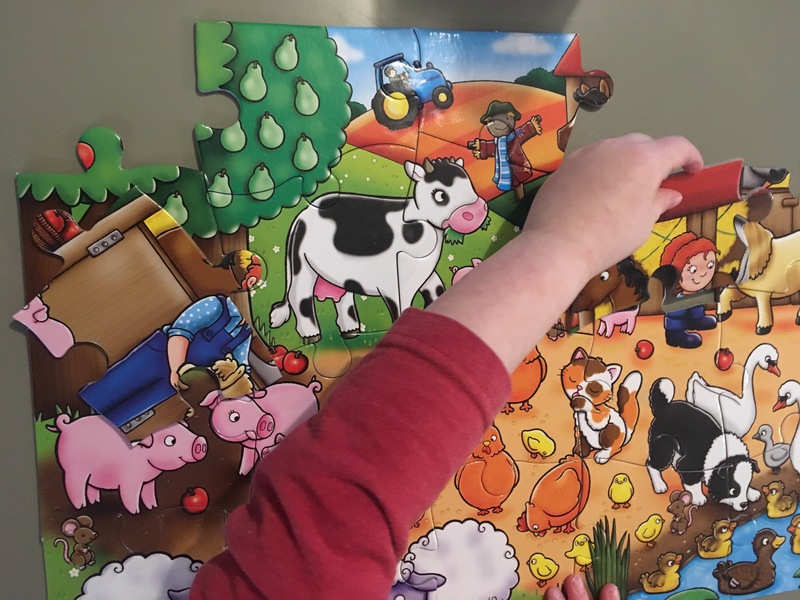 Like the ‘Who’s In Space’ puzzle (that we reviewed in our Space theme) the Who’s On The Farm Puzzle is packed full of interesting detail to engage children in the activity. Adorable Illustrations– We loved the pictures of the animals and the background Farm setting. Absolutely beautiful. 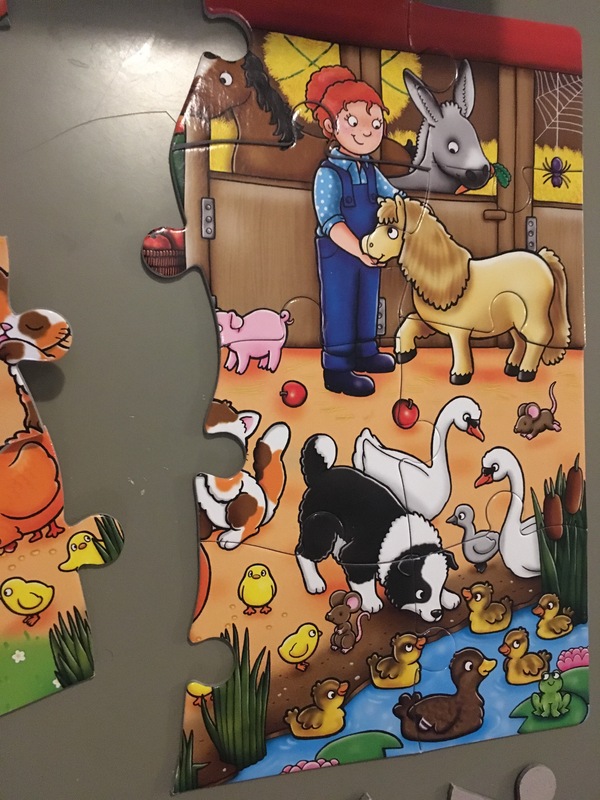 It really helped motivate the children to complete the puzzle. 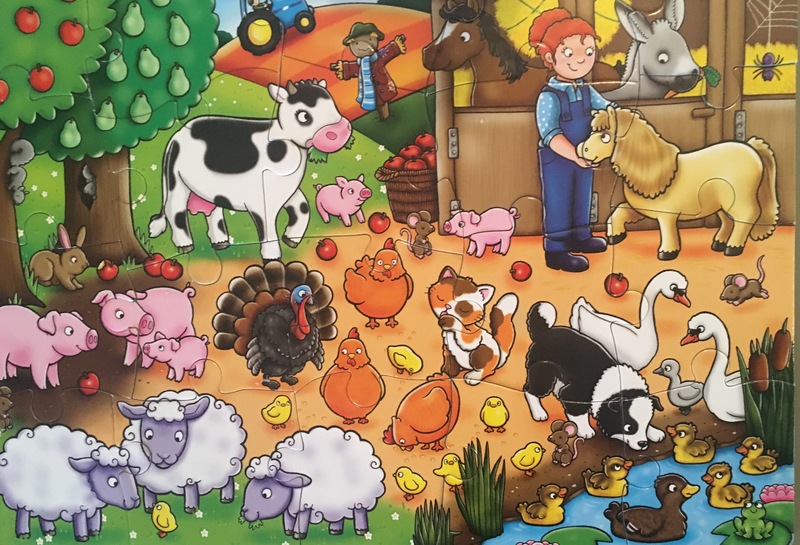 Family Time- This puzzle was great for completing together as a family because of its size and the number of pieces. It’s also suitable for a range of ages and abilities. So lovely to spend time together taking part in a puzzle. 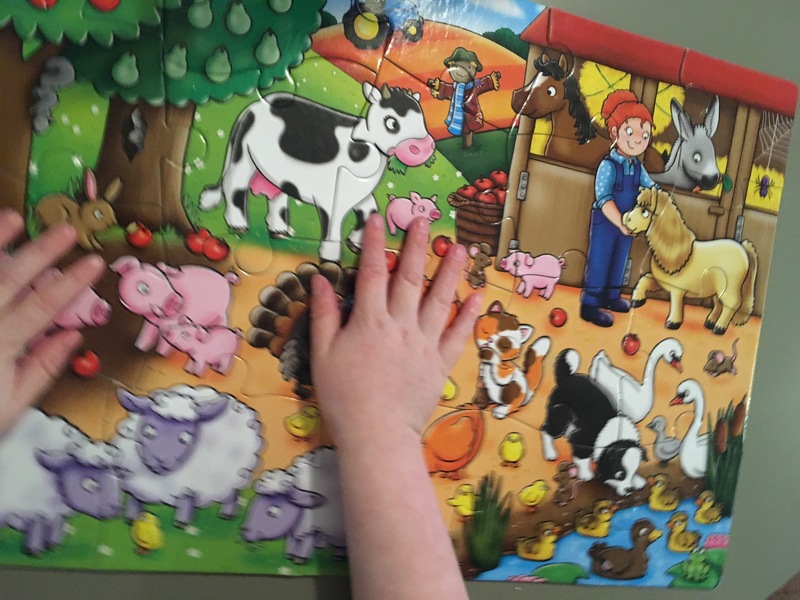 Develops Speech, Language and Communication Skills: Because of the level of detail and quality of the images, we found this jigsaw helped to develop Speech, language and communication skills; there was so much for the children to talk about! Our youngest enjoyed spotting and naming the animals. Whereas our eldest benefited from being able to explain and infer what was happening on the farm. 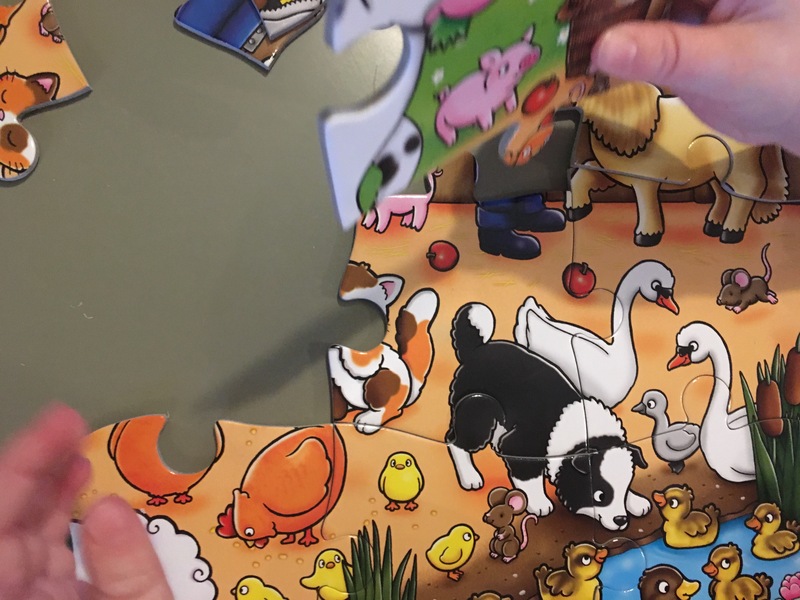 Encourages Problem Solving: Puzzles, like this one, require children to use their problem solving skills. Which are incredibly useful skills to cultivate. Therapeutic– There’s something quite calming about sitting down to do a puzzle, especially when they are as lovely as this one. Thinking about the positioning of pieces requires children to switch off from everything else and focus. Often this can help them to relax. Perfect for overstimulated or over tired kids. Popular- Animals, especially farm animals, are usually a hit with kids. We loved how excited the children were to play with this puzzle. A very popular topic! *Please note for the purpose of this review we were sent a sample to play with. All thoughts and opinions are our own. This post contains Amazon Affiliate links, for more information read out ‘About Me’ section.